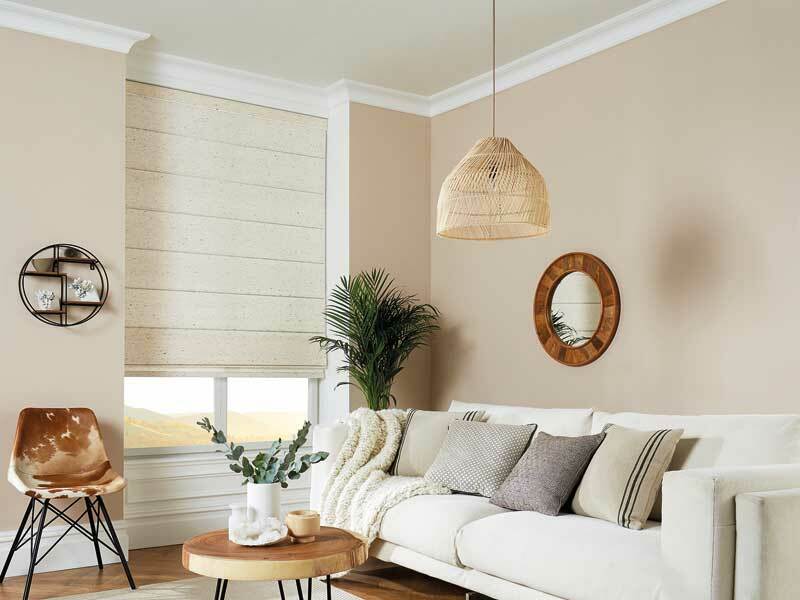 Louvolite Roman blinds are a traditional window dressing with a modern twist, combining luxurious styling with contemporary clean lines and modern operation. 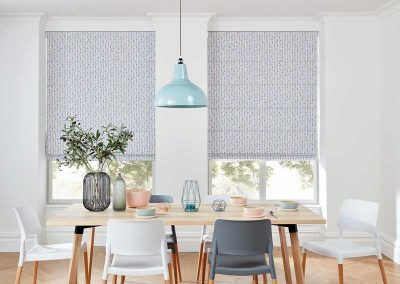 Galaxy Blinds have a full range of Roman Blinds available and on show in our showroom, some examples have been placed on this page. 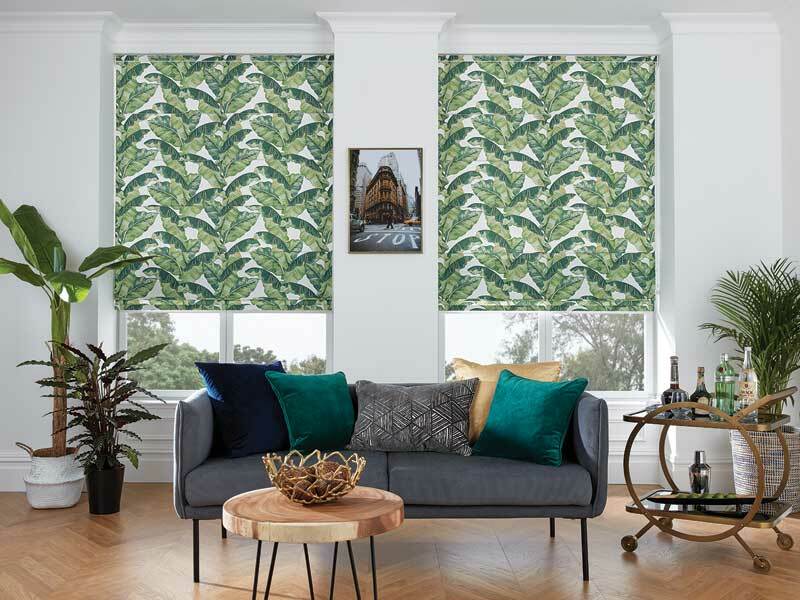 We are able to offer an extensive made to measure Roman Blind Service in the latest fabric ranges with matching cushions and curtains . 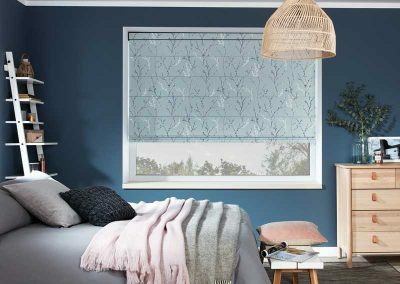 At Galaxy Blinds we have a huge range of the latest luxurious fabrics to choose from and as we produce them ourselves, there are no middle men therefore reducing the end cost. 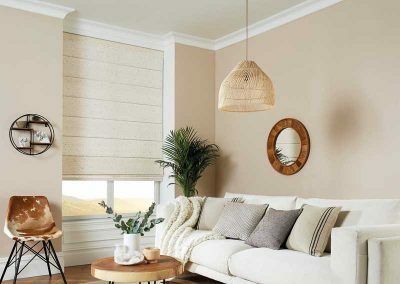 Roman blinds are perfect in living areas and conservatories to add that extra bit of style with very low maintenance. 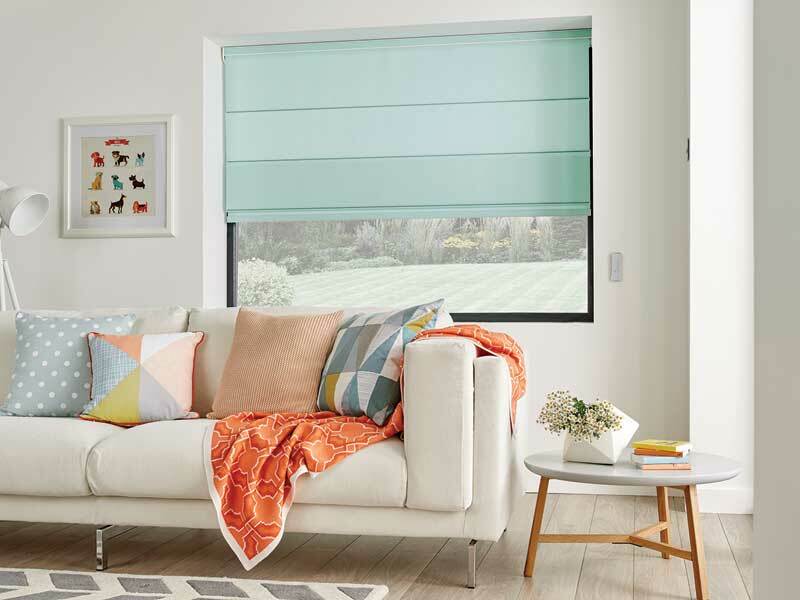 Our blinds come complete with Deluxe headrails, Blackout linings and choice of Control chain finishes as Standard. 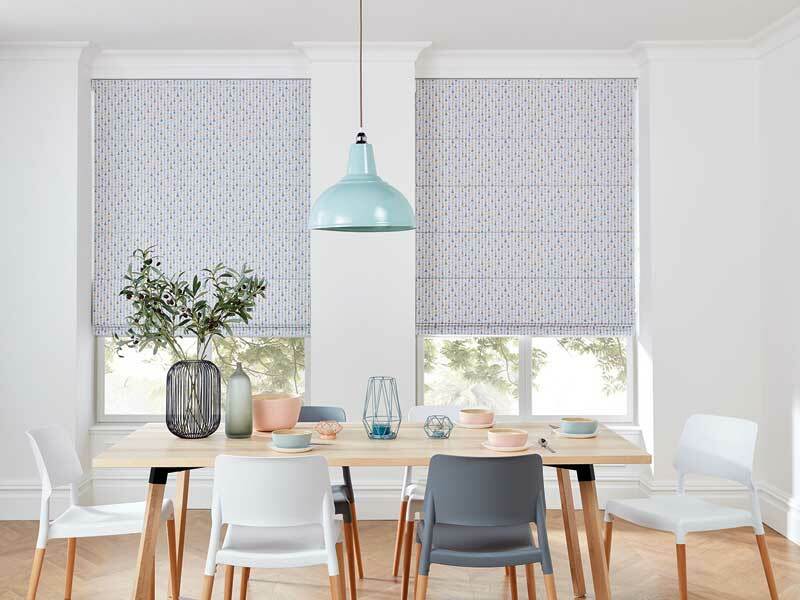 Your blinds can be positioned anywhere on the window because we use the extremely durable and adaptable Deluxe Headrail System on all our Roman Blinds. 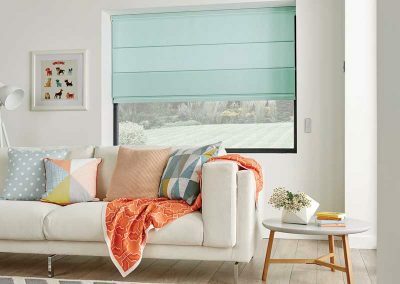 We do not use the cheaper Cleat String Control lift System which is provided by most of our competitors. 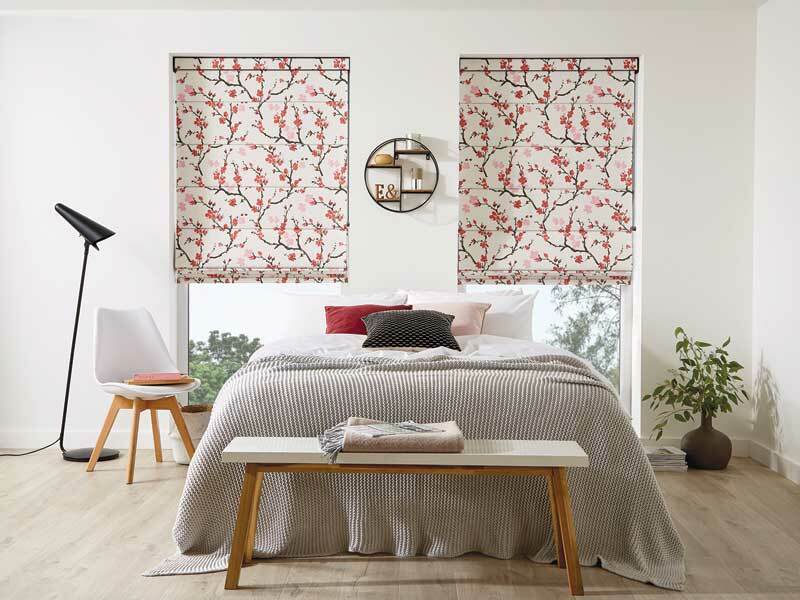 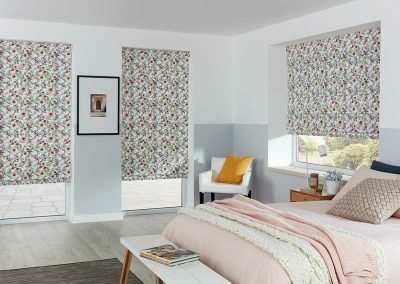 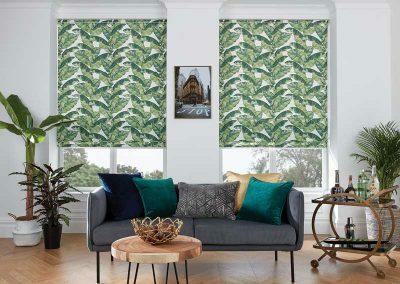 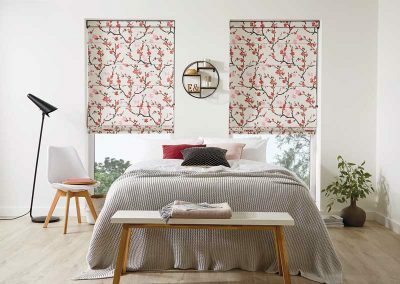 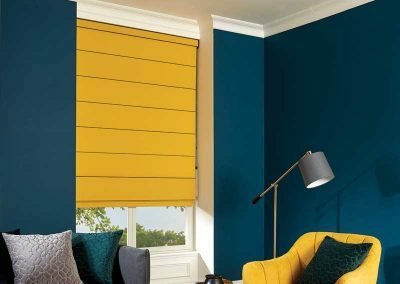 The examples on this page are just a very small selection of the colours and fabrics we provide, for a more extensive selection of blinds, please click the Brochure below. 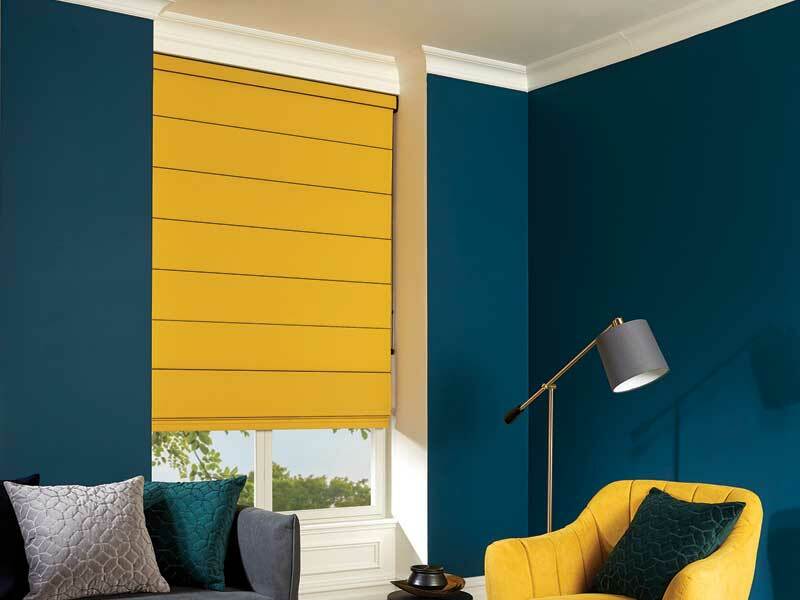 For an appointment with our friendly sales people call us now.